The second question is more intrinsic to Bellesseria as a whole. 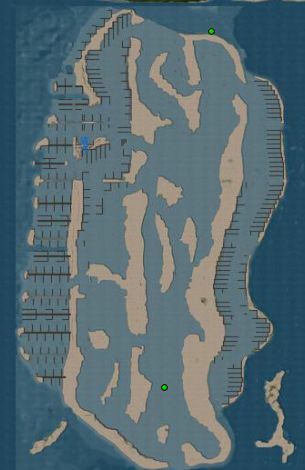 It is clear from even a causal glimpse at the Map that the landward houses simply are not capturing people’s hearts and minds in the same way as the houseboats. Simply provisioning more houseboats isn’t going to solve this, and doing so possibly runs the risk of the continent’s land mass remaining under-populated unless they are made more inviting. Is it simply that the current selection of houses isn’t seen as attractive enough, or is the lack of interest in the landward houses down to something more fundamental? A lack of ability to link them to the continent’s road structure, for example or – as I noted in Making a (Linden) houseboat a home – is it the general lack of additional amenities people might appreciate having, such as a few airstrips scattered around to offer people the attraction of being able to rez and fly their light ‘planes off of the grass. Or perhaps some of the houses along the rivers could have small boat access to the water (although this could create issues of its own). 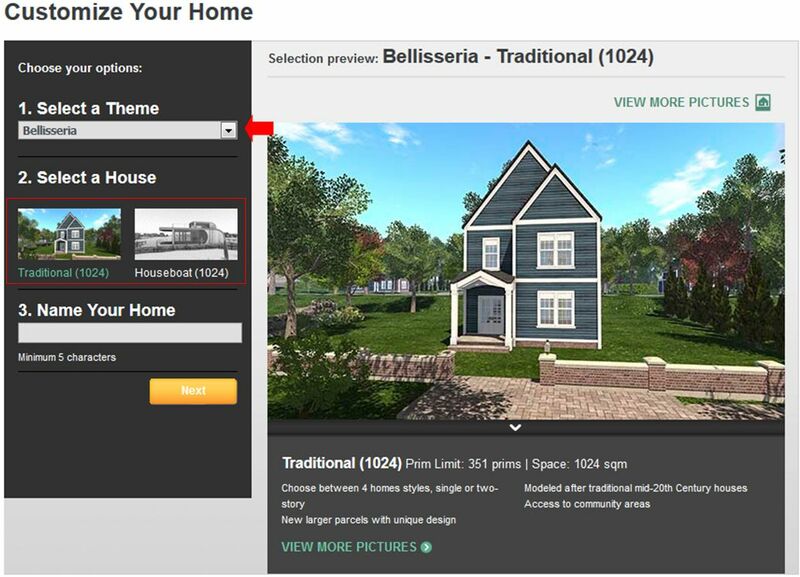 As I reported that the time, Linden Lab launched their new Linden Homes on Monday, April 15th (see: Lab launches new Linden Homes), and according to reports I’ve received, they are proving very popular, with the first allocation of houseboats in particular running out. So what are these new units like as a potential home? Well, pretty bloody good, actually. While I can’t speak for the town house designs, the houseboat styles offer good variation between them in terms of looks and space, and many of the parcels offer a fair about of flexibility for boat / seaplane moorings. While it is pot luck on the parcel you are allocated (and remember, you can abandon and re-try), I was pretty lucky on my first attempt: a parcel on one of the outer sandbars of Bellisseria, offering a nice view over the strait to the continent on one side, and a public beach and open sea on the other. The houseboat also sits with a beam-to-land orientation, leaving me with a body of water on the parcel that has a good breadth and depth, and avoids feeling quite so hemmed-in by the houseboats on either side. With a land capacity of 351, there is a lot that can be done with these parcels in terms of decorating and (in the case of the houseboats) plonking down a boat or two (or three) or some boat / floatplane combination. For my part, I felt the Windlass houseboat offered the most flexibility for internal space (I particularly liked the fact the little nook under the stairs to the roof suggested itself as a good place for a fireplace). Another aspect of this design I like is the split level nature of the living space, which naturally lends itself to various options. With a little custom work, it’s easy to produce a railing system that nicely separates the two halves of the living space, or even add full internal walls, depending on your preference. Décor-wise, the interior and exterior walls, floors, etc., can be “repainted” via the house control panel. For this Windlass, this can lead to an interesting half-and-half look which breaks up the colour scheme. Additional textures can be obtained from the house / houseboat selector, so any elements you add can easily be blended in. For me, the only issue with my Windlass is that the door is on the landward side of the house, and the shape of the parcel meant a trek around the houseboat and along the public piers the set between the parcels. However, the design is such that it was pretty easy for me to add more direct access by dropping in my own piers for mooring, and adding a couple of stairways: one up to the houseboat’s “balcony”and thence inside, and the other to the roof. Given there is a total 351 LI to play with, adding details like this doesn’t mean you’re “eating prims”; but if you are worried about counts, remember that if you build yourself, a considered use of prim and mesh and Convex Hull accounting can help reduce LI cost. The stairs, railings, room divider and moorings (and lighting) I added, for example, weigh-in at just 30 LI combined (I used Kriss Lehmann’s Botanical Brick Path kit with a little bit of re-texturing for the moorings, simply because I had it to hand and linking works will with Convex Hull physics. The stairs came from Jed888, and are full perm). Adding to my original post on the new Linden Homes, everything has been pretty well-considered. The houseboats and houses offer plenty of scope, the region offers a lot of general interest to see when exploring (with more to be added inland, as it is expanded in the future) and it’s good to see the public areas include interactive elements to make them more interesting. Potentially, my only critiques are in two areas: there should be more rez points for vehicles. There’s plenty to see when exploring by road / water, but the limited number of rez points tends to put people off taking a break and having a look around. There are certainly places where one might expect rez points – such as the little boathouses around the coast. Rez points are also helpful when region crossings go wrong, so having more (even just the road sign style on mainland highways for road vehicles) would be useful. My other critique is that a region of this size really should have a small airstrip or two, again with rez zones. A couple of grass strips suitable for small aircraft to get in and out of would add further depth to Bellisseria, both for people living there and for curious visitors who would like to fly in and take a look. But the key question is, does my new Linden Home make me want to abandon my existing private island home? Well, truthfully: not yet; but that is only because things are still new, and I want to see how neighbourhood develop and communities grow. 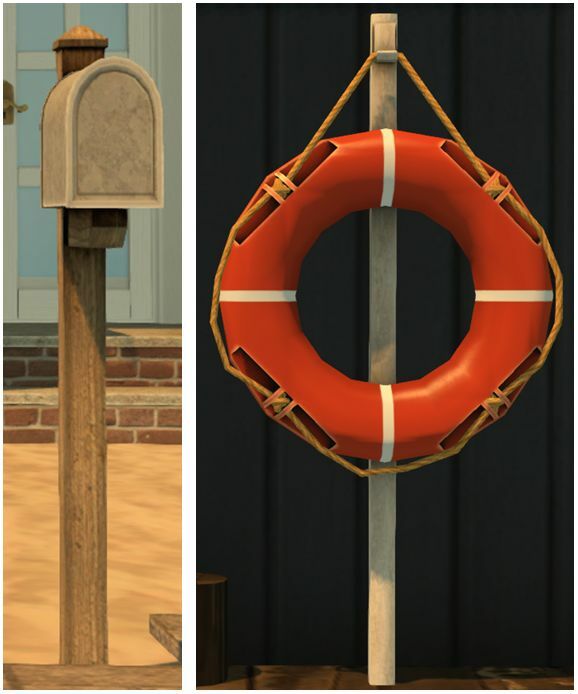 In the future, it may well be that a swap back to living in a Linden Home might well be on the cards.